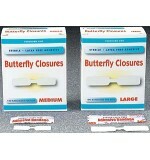 Butterfly Wound Closures Large 100/Bx 24Bx/Cs ..
Butterfly Wound Closures Medium 100/Bx 24Bx/Cs ..
Clear Bandages Strip 1" x 3" 100/Bx 24Bx/Cs ..
First AId Essentials 299 PC ..
First AId Kit Package ..
Light Flex Fabric Strip Bandages 1" x 3" 100/Bx 24Bx/Cs ..
Light Flex Fabric Strip Bandages 2" x 3" 100/Bx 12Bx/Cs .. 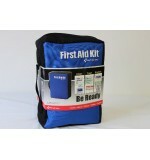 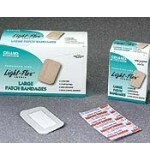 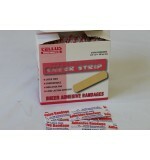 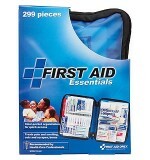 Plastic Bandages Strip .75" x 3" 100/Bx 24Bx/Cs .. 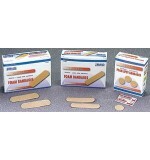 Plastic Bandages Strip 1" x 3" 100/Bx 24Bx/Cs .. 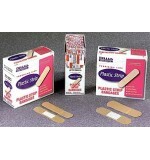 Plastic Bandages Thrift Strip .75" x 3"
Plastic Bandages Thrift Strip .75" x 3" 100/Bx 24Bx/Cs .. 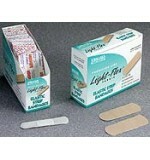 Plastic Bandages Thrift Strip 1" x 3" 100/Bx 24Bx/Cs ..
Sheer Bandages Strip .75" x 3" 100/Bx 24Bx/Cs ..
Sheer Bandages Strip 1" x 3"
Sheer Bandages Strip 1" x 3" 100/Bx 24Bx/Cs ..